Celebrating Abilites Inc. Is an establisehd Not For profit committed to enriching the lives of our local community by providing unique and joyful physical experiences for people living with disabilities; whether it is a physical, acquired, mental health, intellectual or emotional as well as people experiencing marginalisation in their lives. My name is Margie Cerato and I am the president and Founder of Celebrating Abilities. We are here to be of service expanding our capacity, creating change and transforming lives. Our goal is to increase ability awareness in the community while making a difference for all our clients. We are passionate about helping adults and children celebrate who they are, accept the difference and focus on what they can achieve. Everyone’s needs, goals, and wishes are different. We have worked in the fitness industry for over 30 years and we are passionate about helping our clients with their health wellness, fitness, exercise and rehabilitation. Celebrating Abilities is meaningful and soul-stirring work for us as its all about the heart. The aim of Celebrating Abilities is about supporting the participants with our mental health, wellness programs, exercise, functional fitness, rehabilitation, wellness coaching, mindfulness, meditation, strength, and conditioning, personal training, circus aerial fitness and so much more. We have had great success with adults and children in areas of social skills, our mental health, wellness programs, fitness, personal development, anger management, mobility, strength, coordination, balance, core stability, physical activity, and tools for keeping a happy and healthy for life. Kids and adults love the circus classes. We have so much variety to offer you. Carer’s or parent/s guardians are required to come along and may join in. 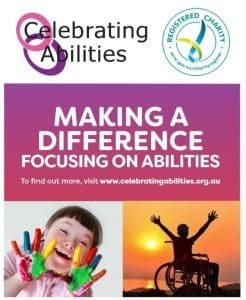 At Celebrating Abilities, we are committed, with a variety, skills, involvement, backgrounds, and enthusiasm, to strengthen through teaching and training. We are consciously aware of all participants’ abilities and lifestyles. The program is available to all ages from children to adults and their Carers, guardians and or parents. We are here to be of service. We have had great success in supporting individuals with special needs, disability – whether physical, acquired, mental health, intellectual or emotional. 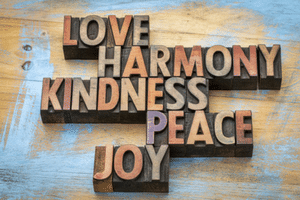 Our goal is to support, nurture and develop the well-being of 100’s of people a year by providing support with exercise, rehabilitation, wellness coaching, mindfulness, meditation, strength conditioning, and personal training. Celebrating Abilities in conjunction with Vibes Fitness is committed to providing inclusive training, rehabilitation, exercise, fitness and well being by working with anyone with a disability that wants to increase their strength, flexibility, confidence, motivation, and happiness. Our goal is to assist as many participants as possible, where they will be given the opportunity to spend three to six months or longer. Each participant is assessed individually. The application forms are on the website and must be filled in prior to commencing any session. This allows us to go over needs and medical history. Celebrating Abilities works closely with participant’s increasing their mobility and quality of life. We are recognized for our innovation, inclusive learning programs and a supportive environment for our participants. Based on the Individuals needs and goals – Celebrating Abilities has helped clients rehabilitate their bodies with strength training, weights, Antigravity yoga, core conditioning, Pilates mat classes and Pilates reformer beds, rowing, Cardio conditioning, suspension training, personal empowerment sessions. 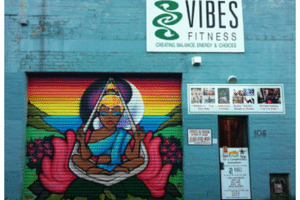 We provide life coaching (optional) and the use of the full gym at Vibes Fitness Fitzroy. Group or Individual sessions with a personal trainer. Counseling is also available with Andrew Fuller’s team. Celebrating Abilities is also available for the participant’s carers and families. We track and measure the social impact of each participant (health and wellbeing) with monthly progress reports. We have the passion and vision to have an impact on our innovative programs demonstrating measurable social impact and have openness to collaboration. We are here to be of service making a long-lasting difference in the lives of our participants. We have worked with a variety of client’s who have Mental Health Challenges, Anxiety, Depressions, MS, Intellectual disabilities, Down Syndrome, Add, Adhd, Autism, Aspergers, Congenital Conditions, Stroke, Amputees, Cerebral Palsy, Spinal Cord Injuries, Cancer, Small-statured people, Learning to walk again, Indigenous communities, Ptsd, LGBTQ, Disability abuse and domestic violence, fibromyalgia and many more. Improves strength and balance and hence reduces falls and fractures. Celebrating Abilities was established in January 2012. We are reliant on donations with no government funding at the moment. Your help with donations for Our Not For Profit “Celebrating Abilities” we would be eternally grateful. We then will be able to help so many adults and kids and transform lives making a difference. Celebrating Abilities at present funded only by Vibes Fitness Fitzroy. We are lucky to have had a couple of small grants to assist us along the way.